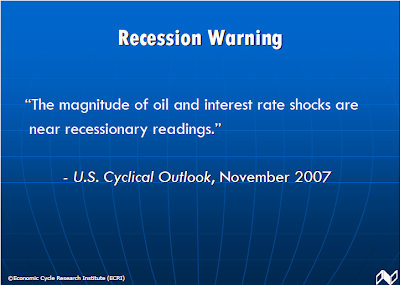 Supposedly the WLI in "real-time" has correctly predicted every recession without a single false signal. 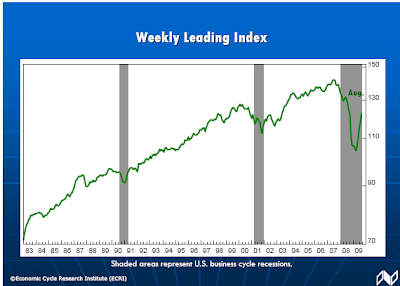 Quite frankly that was a blatant attempt by the ECRI to promote the WLI's recession prediction ability. Now the ECRI is caught. They touted the WLI in a blatantly misleading manner. Worse yet, they even took their own statements out of context to do so. Please consider the following image snip. Highlighting is mine. 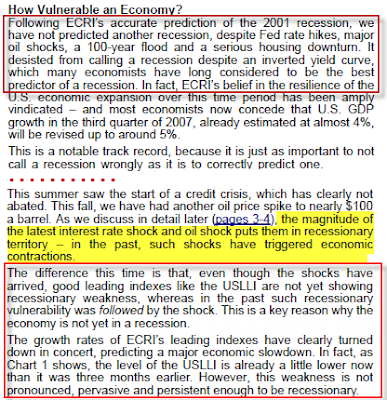 In November of 2007 the ECRI was bragging it did not forecast a recession "despite an inverted yield curve, which many economists have long considered to be the best predictor of a recession"
In contrast note the spin from The Great Recession and Recovery. 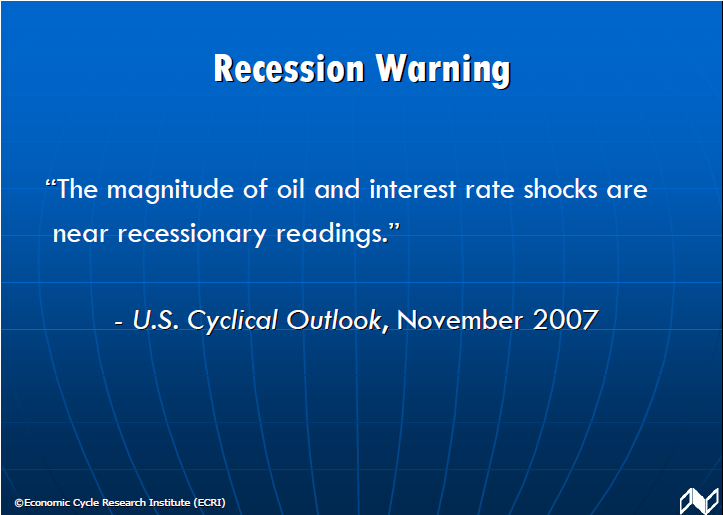 Accompanying that slide the ECRI said "And we issued a clear Recession Warning noting that: “The magnitude of oil and interest rate shocks are near recessionary readings.” A month later, as we now know, the recession began. Blowing Smoke or Outright Lie? Just about now inquiring minds ought to be asking if the ECRI is blowing smoke or telling blatant lies? I will leave that to the reader to decide. My objection is not that the WLI is useless, my objection is that Lakshman Achuthan and Anirvan Banerji are speaking out of both sides of their mouths by promoting the WLI's ability to do what they say it cannot. The recent article on the Big Picture does not address these issues. At best, it blows smoke. Here is a comment from Janet Tavakoli who sent me the link to the article that I responded to above. I’d much prefer if ECRI would just present its data, its view in real time of what it means, and if it has to later change its viewpoint on what the data means, then do so and mention the earlier viewpoint to give context. We all learn from that kind of thought process. I’d still like to see the data , but now the commentary they provide for it has to be discounted. It’s a real blow to their credibility, and it’s a shame. Everyone has been thrown off balance by governments and central banks intervening, doctored data, and more. We are all looking for people to trust, whether they get the interpretation right or wrong in the moment. Moreover, as Janet suggests, the best approach would be for the ECRI to actually publish the makeup of the index and let people draw their own conclusions. With the ECRI revising their own comments, blatantly out of context, they have indeed lost credibility. Blowing smoke will not restore that credibility.